Holy guacamole this has been a busy week. I'm sorry I've been neglecting the blogosphere. I'm up to my eyeballs in editing, birthday preparations, house cleaning, bill paying...well you get the idea. It's been a good week, but I feel so far behind. I promise to spend some time visiting you all this weekend! Just a quick post today to add my favorite image of the week. 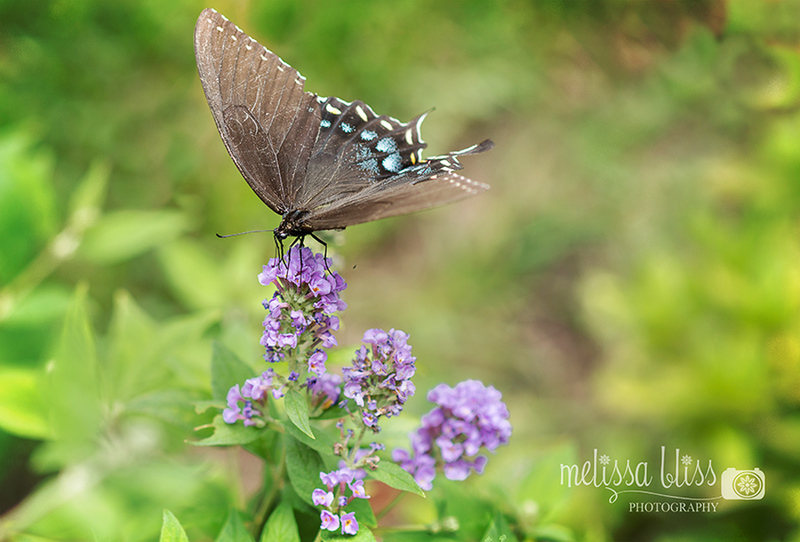 Our butterfly bushes have been great hosts this summer. I captured another butterfly taking a drink. I am also so excited to see that my photo was chosen as last week's winner for Shoot. Edit. Submit. Wowza! There is some stiff competition. What an honor! Be sure to stop by Kim's place every Friday to check out all the awesome entries. On a side note, I posted yesterday at Paper Heart Camera about how to shoot sharp images. It's a question I've been asked a few time here on the blog, so I shared some tips that I have found really helpful in getting sharper shots. You can check it out here: Shoot Sharp. Beautiful! And yay for being the photo winner! Oh my- at first I just saw the taupe shade but in looking closer that turquoise is so pretty speckled in there. WOW! What a gorgeous image, Melissa! Oh Melissa, you did it again. I love this. Which lens did you use to get this butterfly without it flying away? Oh, and your photo totally deserved to win. You are very talented and I am honored to be your friend, too.